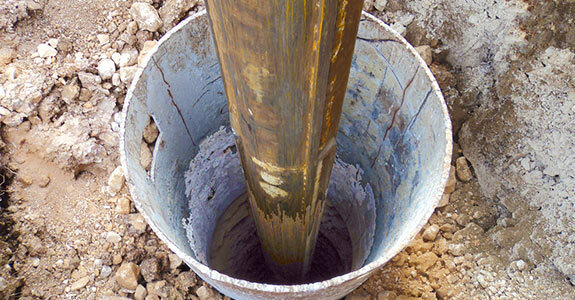 If you’re seeking to have a new well drilled on your property, trust the experts that have more than 80 years of professional experience in drilling, piping and servicing wells: Nelson Well Service, LLC. Our many years of expertise have made us the most trusted choice for a well drilling contractor in Vernon County, WI and our reputation for quick, quality and sustainable work are what set us apart from other professionals who might not deliver the exemplary service that we do. Our experience as a well drilling service in Vernon County, WI spans the entire gamut of services, from surveying a site to implementing a drilling plan, through the actual drilling and casing of the well, to ensure that your new well functions meticulously upon first use. All of our wells are drilled to the perfect depth, to provide you with clean, pristine water, no matter the application. From private residential projects to municipal endeavors, no job is too big or small for us to take on and we’re proud to stand by the thorough and complete results we’re known to deliver. For more information about our well drilling in Vernon County, WI or for information about the process, please don’t hesitate to call us today at 608-689-2941.